“I have LinkedIn, but I don’t know what to do with it.” If you’ve said this phrase, this workshop is for you! This workshop will explain how to maximize the use of your personal LinkedIn profile to increase connections, develop relationships, and grow your business. Participants will also be introduced to the development and management of a LinkedIn Company Page. When people think social media, they instantly think classify it as another marketing tool. During my time as a social media consultant and trainer, I have come to understand that social media is a powerful medium that spans a number of departments. 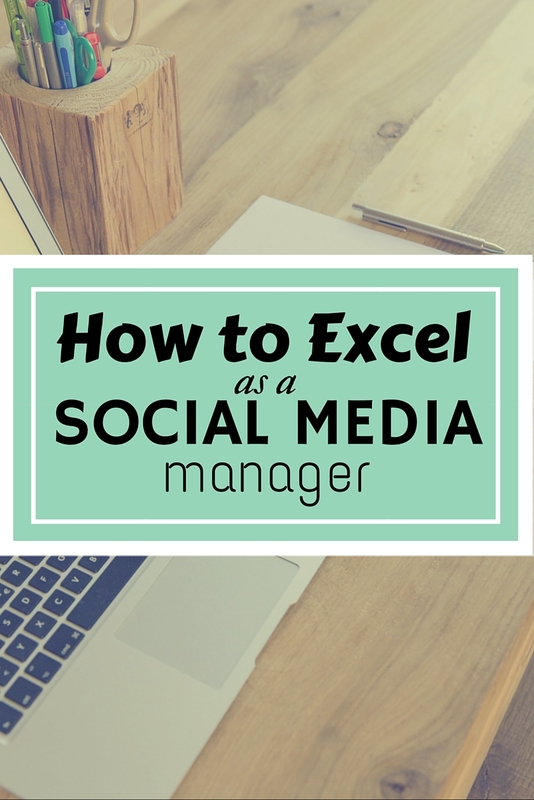 This blog will discuss how to excel as a social media manager through the realization that social media is more than just marketing. At first blush, you may think, “Really? Social media used for customer service purposes?” Yes! How many times have you read a Facebook post about an unhappy customer, or perhaps someone tweeting about a less than satisfactory service? Wouldn’t it be an awesome social strategy to solve concerns, murmurings, and frustrations before they fester and morph into brand-disasters? Absolutely! Firstly, Delta Airlines has developed a strategy to listen for their brand on social media, including when the brand is not formerly mentioned, as well as spelled incorrectly. Because Delta was able to closely monitor all brand mentions, they were able to respond quickly to the tweet from Scott. As a result, of the immediate response from @DeltaAssist, Scott’s rage and anger is diffused. Are you an organization that passively waits for qualified candidates to submit resumes? What if you could find talented, motivated, and inspiring candidates through social media? Similar to how @DeltaAssist diffused Scott (above), through social listening, social media can be used to actively search and recruit qualified candidates. While LinkedIn may seem the social media platform of choice from which to recruit candidates, employers also use platforms like Twitter and Instagram to find motivated candidates to fill vacant positions.Employers view an individual’s social media account as insight into the individual’s personality, work ethic, interests, and social media savviness. On the other hand, many organizations promote open positions via their general social media accounts, or dedicated recruitment social media accounts, like @HootsuiteLife. Perhaps it is my economics background, but I love the concept of social media monitoring and social media listening. Taking the brand watchdog concept one step further, companies can monitor social media for consumer opinion on things like active commercial spots. This is an amazing opportunity – like a live, ongoing, marketing-oriented focus group! #SwifferEffect is a campaign by Swiffer, highlighting the life-and-times of average users using Swiffer. People seem to love Lee and Morty, the adorable senior couple, but dislike the Tobin Family and the Tobin Stance. With these consumer insights, Swiffer could increase or decrease the amount of airtime for each commercial. #PretzelLoveSongs was a campaign from Wendy’s Restaurants to introduce pretzel buns to the menu. Early on during this campaign there was an online campaign to “Stop #PretzelLoveSongs” because of their a) frequency, and b) ability to annoy viewers. While it’s not clear that tweets caused the commercials to cease, they may have caused Wendy’s to shift in an alternate direction for future campaigns. Ah yes… social media is about marketing! Not just any marketing, but relationship marketing. This type of marketing emphasizes customer retention and satisfaction, rather than sales transactions. Developing a relationship with clients and customers is about creating simple two-way communication between the customer and business (i.e. Twitter). An individual chooses to follow or “like” a brand on social media for many reasons, and I bet not one of them is “to receive advertising.” Companies, it is time to be human, be personal, and be responsive on social media! Develop and nurture relationships with your clients/customers such that they become brand advocates. Do you have any examples to share? I’d love to hear them! Situation: You have explained that Facebook advertising can allow you to target a specific audience using the self-reported demographics of users. The follow-up question: how can we know these are accurate? Response: The simple answer is that you cannot know for sure that the self-reported demographics are correct, but the majority of users will properly their gender, age, location, etc. You have to put a bit of faith that the majority of users are honest, just like in any other situation. Situation: You have explained that payment for the ads can be based on clicks or based on impressions. You receive a blank stare in return. Response: Break it down simply: cost per click means you pay for the ad only when someone clicks on the ad. These ads are best used when you are trying to drive users to your website to complete a survey, download an app or like a page; in short, use this type of ad when you want a user to complete a specific action. Cost per impressions means you only pay for every 1,000 times an ad appears on a users screen. These ads are best used when you are trying to communicate a simple message of awareness, such as the availability of a specific program or an event. The good news is users can still click on the ad to jump to a specific webpage, but you won’t be charged anything extra if the ad is clicked. Response: Much like the first situation and response, there is no way to prove the metrics are 100% accurate (in all likelihood they are inflated). Inflating statistics happens throughout all media: a radio station may claim a listenership of 80,000 people, but that is no guarantee all of them are tuned in and actively listening when you ad is played. The same can be said for newspapers; they may claim a distribution of 30,000 subscribers, but there is no guarantee everyone is going to see you ad. Users may not read the paper that day due to other commitments, or maybe your ad will be appearing in a section that a subscriber does not read. Situation: After explaining the difference between cost per click and cost per impression, you try and explain how they are budgeted differently as well. This leads to greater confusion. Response: With cost per click, you only pay when someone clicks on the ad. Your ‘bid’ on the cost per click will vary each time you create an ad, but it can range from $ 0.20 to $ 2.00. With cost per impression, you pay for every 1,000 times the ad appears on screen. Again your ‘bid’ will vary, but the range is typically $ 0.02 to $ 0.80. A concern that is often raised after explaining this point is can you control how much is spent and the simple answer is yes. There is a daily maximum budget that can you set for an ad, and once that budget is reached the ad will no longer be shown for that day, ensuring you stay within budget. A key point to keep in mind when broaching the topic of Facebook advertising with any colleagues or management would be that it is simply another advertising tool that should be used when appropriate. By no means is it a panacea that will allow you to stop all other advertising, but it can help supplement the current tools you are using. The old marketing adages of right audience, right message still hold true. In today’s age it seems as though most companies are on some form of social media. There are literally thousands of platforms from which to choose. Initially, however, given its brand power in the marketplace, most companies gravitate towards the creation and ongoing maintenance of a corporate Facebook page. Next on the list is usually a LinkedIn professional profile, followed by Twitter. Bringing up the rear, and depending on the business, is Pinterest, Instagram, Google Plus, and Vine. If a company has chosen to maintain a profile on multiple social platforms, it is important that they develop and maintain a consistent presence. This means setting a standard image or logo for designated profile pictures and cover photos, as well as securing a branded URL. A URL (Uniform Resource Locator) is also referred to as a web address. Just like your home has an address, so too do your social media accounts. For example: http://www.facebook.com/JenniferBakerCo is the address to my Facebook page, it allows users to easily locate account without having to search for it via Google or Facebook Graph Search. For companies who maintain multiple social media profiles, it is important that the URL is the same across platforms because it solidifies how users can connect with your brand. Rather than directing your customers to find you on Facebook at one address and on Twitter with another address, develop a strategy to secure the same URL across all social media platforms. This will make it easier for customers to find your business online. There are some challenges that arise with this, including: character limitations, and uniqueness of the URL. In many cases the URL is limited in characters. For example, a Twitter URL can only be 15 characters. This can cause a challenge to many businesses that have a longer business name, as it requires businesses to get creative and shorten their name. When shortening your name, make sure it still resembles your business’ name, and does not create any offensive words or phrases in the process. Double check. Always. Social media URLs must also be unique. Just like only one website address can exist, only one social media URL for a respective platform can exist. If your business name is common, you may need to be flexible in securing your URL. Do some research on social media and figure out what is available, and what barriers you may need to work around. Once you’ve secured your social media URLs, include them on your marketing materials. If you don’t, it’s like saying to someone: “I’m on email.” but not providing your email address. 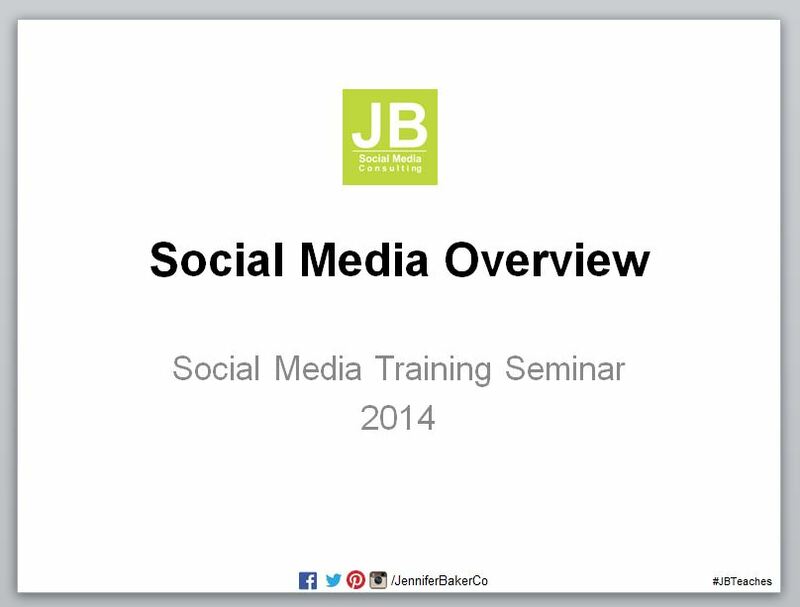 Facebook advertising is a growing area of interest in for private and group social media training sessions. Individuals and businesses are beginning to understand the benefits and reach associated with this type of online advertising. I have observed, however, that many people have ventured into this unknown territory without the proper tools and training. Consequently, the result is less than desired. I have compiled the two biggest pitfalls of Facebook advertising. Who is your target audience? Who will buy the product or service you are selling? Though your product/service may have a mass appeal, it is 100% guaranteed that it will appeal to every single person. Unfortunately I have seen people use this approach when creating Facebook advertising. While you may have created a great Facebook advertisement with a superb call-to-action, if you do not accurately define your target audience the advertisement will be useless. I have seen individuals select “Canada” as the location, with the age range of “13 to no max,” targeting both males and females. Everyone is their target audience, right? Well that equates to 18,472,360 people. Likely you will use up your advertisement budget, with zero response. 2. Too specific target audience. While this message appears, the individual still proceeds with the advertisement. Typically the individual will not use any of their Facebook advertising budget – primarily because there is no one to show the advertisement too. I have reviewed past advertising campaigns with an audience of individuals who are 35 years old, female, live in Kingston, Ontario, like yoga, cooking, wine, baking, dogs, cats and have been married less than 6 months. Too specific. When developing advertisements, if you find yourself trying to squeeze in too many parameters, you may need to refine the message of your advertisement. If you’re background is not business or marketing, or maybe it has been a while, consider some social media marketing training in the area of developing and designing effective Facebook advertisements. While trial-and-error is also an option, you could see yourself wasting time trying to figure out the best combination and solution. 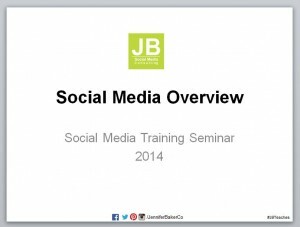 An upcoming social media training session is scheduled for February 12th in Kingston, Ontario.